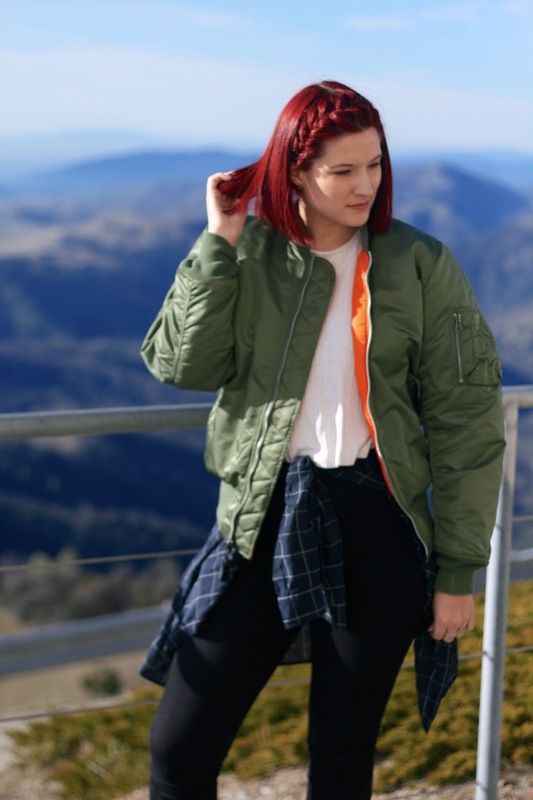 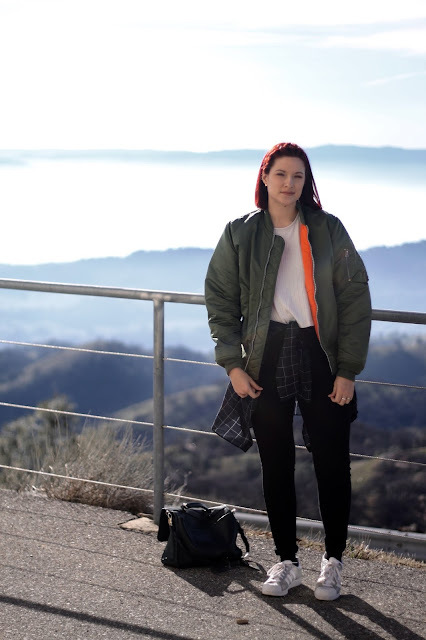 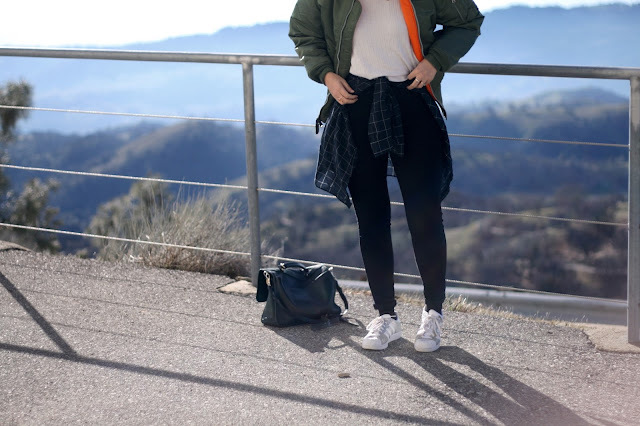 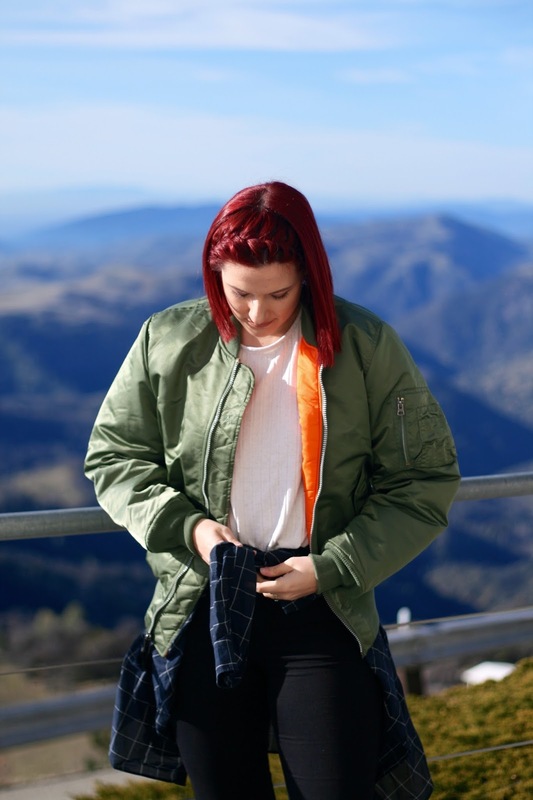 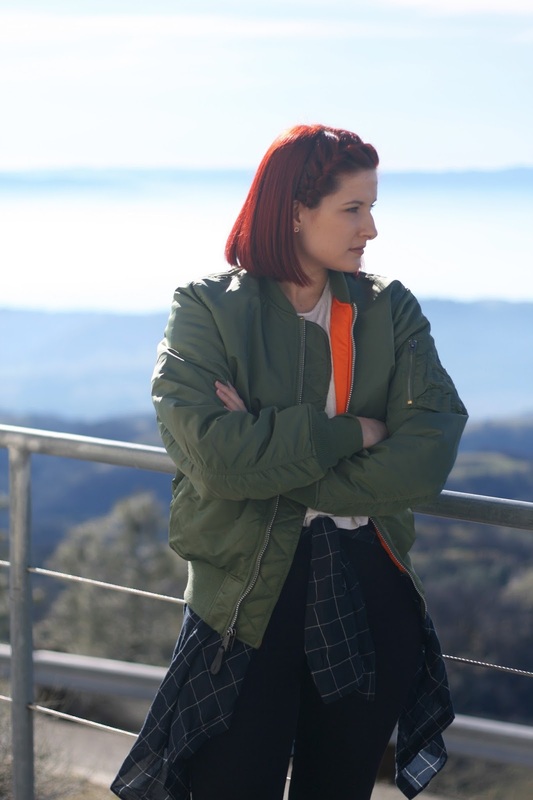 We had lovely warm weather this weekend and no plans, so we decided to drive up Mt Hamilton to Lick Observatory and take in the amazing views and yes take some outfit pics, why not eh! 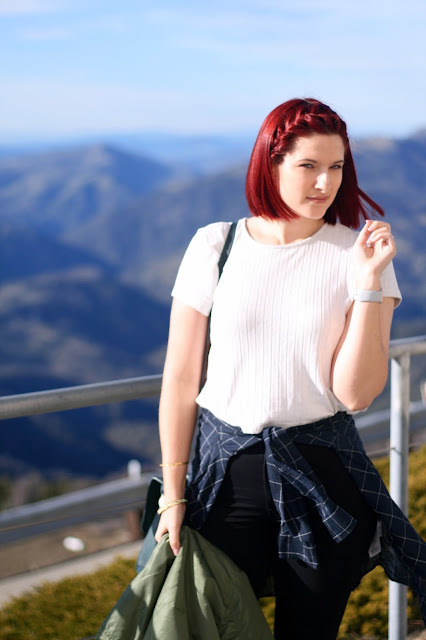 The views were breathtaking, mountains for miles basically the perfect backdrop for my blog! I stole my husbands new bomber jacket for the pics as it complimented my simply casual weekend attire.